TrasguGest Orders is not the typical POS software with management of articles, waiters and tables: for this purpose already exist many alternatives on the market. You can locate any order through its unique tracking identifier or also search orders by date or by Client . If desired, and as an optional module, it will also allow you to make available to your Clients a tool to request orders online from your website. 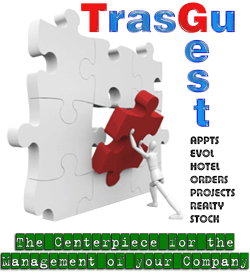 TrasguGest Orders is constantly reviewed and updated. We are grateful in advance for any question, comment or suggestion you may wish to make.